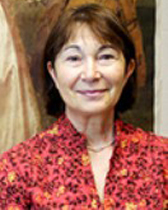 Bernadette Fort, Professor of French and Affiliate Professor of Art History, holds an Agrégation in German and a Doctorat in French Literature from the Sorbonne. Her research and teaching interests include literature, culture, and visual arts in 18th century France, 17th and 18th century French art theory and art criticism, the construction of gender in literature and visual culture, and the cultural history of the Ancien Régime and the Revolution. Fort has authored or (co-)edited six books:Le Langage de l'ambiguité dans l'oeuvre de Crébillon fils (1978); Fictions of the French Revolution (1991); The Mémoires secrets and the Culture of Publicity in Eighteenth-Century France (with J. Popkin, 1998); Les Salons des Mémoires secrets (1999); Crébillon's Lettres de la Duchesse (2002); and The Other Hogarth: Aesthetics of Difference (with A. Rosenthal 2001), which won the Historians of British Art Prize of the College Art Association and a New York Book Show Award. She is the author of a prize-winning essay on 18th-century art criticism and of numerous essays on 18th century writers and artists such as Crébillon, Prévost, Diderot, Rousseau, Falconet, Ch.-N. Cochin, and Fragonard (published, among other journals, in Diderot Studies, Eighteenth-Century Studies, New Literary History, The Romanic Review, Revue d’histoire littéraire de la France, and Yale French Studies).One of her essays on Greuze appeared in French Genre Painting in the Eighteenth Century (National Gallery of Art, Washington D.C., 2007). Her work in gender studies includes essays on Hélène Cixous and the English translation of Cixous’sPerjured City (Routledge, 2003). Fort has lectured in the USA, Canada, France, England, Germany, and Italy. She is currently finishing a book on Gender, Aesthetics, and Politics in Eighteenth-Century France. She delivered lectures on that topic, among others, at the National Gallery, Washington D.C., the Samuel P. Harn Museum (University of Florida), the College Art Association, the Newberry Library (Chicago), the Institut National d'Histoire de l'art (Paris), and the Academy of Sciences, Moscow. Awards include grants and fellowships from the NEH, the Camargo Foundation, the Lilly Foundation, the Lurcy Educational Trust, Northwestern’s Kaplan Institute for the Humanities, as well as two Distinguished Teaching awards from Northwestern. She is Officier dans l'ordre des Palmes académiques. From 1994 to 2004 she directed the Northwestern Eighteenth-Century Seminar. From 1998 to 2004 she was editor-in-chief of the interdisciplinary journal Eighteenth-Century Studies. From 2005 to 2009 she served as elected Vice-President and then President of the American Society for Eighteenth-Century Studies.